As a mother, I figured out quickly that play isn't a luxury but a necessity. The easiest way for children to learn in through play. In today's blog, I'll be sharing with you a few benefits of playing with dolls for both boys and girls. 1. Fine-motor skills. By dressing, changing, and feeding their dolls your child will be working on their find-motor skills. 2. Social Skills- while playing with their dolls with other children they are practicing sharing and working together with someone else. 3. Language- children also work on their language and communication skills by playing with their dolls and maybe even another child. 4. Imagination- playing with dolls is a great way to spark children's imaginations as they pretend to play. 5. Responsibility- yes, even your toddler can begin to learn how to be responsible just by pretending to take care of their doll. We recently received Neonate babies from Distrollerusa.com and I quickly witness all of these benefits almost immediately. My toddler got to work on her fine motor skills as she tried to change her babies diaper. The girls worked together trying to figure out what all the pieces were and asked plenty of questions. The umbilical cord sparked a lot of questions. I remember laughing as my oldest daughter was off the school just the other day and my toddler calls out "I'll babysit your baby for you!" as she climbed out of the car. 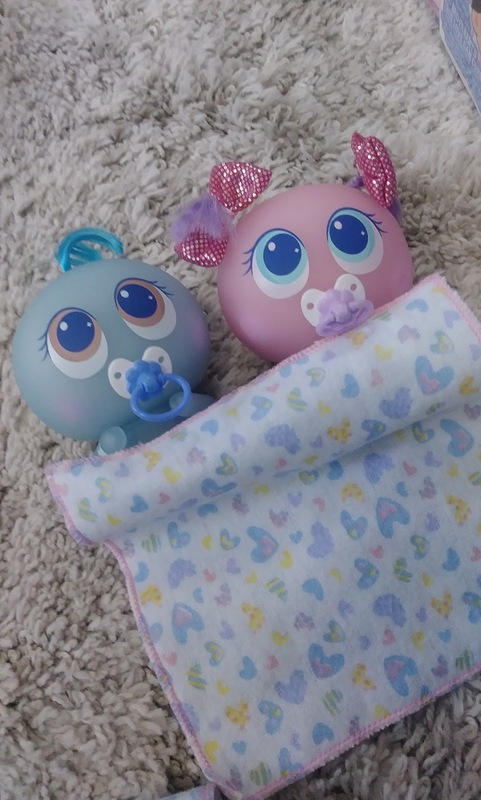 For those of you who may not have heard of these cool new dolls, a Neonate Baby is a newborn baby that comes to earth in a space capsule from the planet Neonatopia. The capsule is called the NeoTube Transportation System. Just like human babies, Neonate Babies come in distinct sizes, personalities, and species who have different stages of development. These newborn babies yearn for love and care from human children. Do the little ones in your life play with dolls? Share with me in the comments below. disclosure: this product is sponsored but all options are my own. to all my boy moms does your sons play with dolls. while i see nothing wrong with it my son does not. As many of you know he has autism and while i thought it would be super helpful for him he just never caught on to them. He did how ever loved his pretend kitchen when he was toddler. I love how unisex these dolls are. I think there are so many great benefits in playing with dolls, at any age. I love that dolls really do ignite imagination into children! It’s so easy for them to get lost in this digital age and forget what it’s like to pretend !